Nothing is more critical to your business than happy and satisfied customers. While it is always crucial to acquire new customers, but nurturing and retaining your existing customers is equally paramount for you. How you convince them with your products or services and how you make them feel important throughout their customer journey determines their happiness. That said, customer happiness should be one of your best business strategies, which requires you to build a cordial and long-term relationship with your customers. You need to adopt a proactive approach that resolves their concerns fully and meet their expectations all the time. Your customers are happy when they are more than pleased with their relationship with your company and emotionally stick by your side. Satisfied customers do not only bring repeat business, but they also bring their friends and acquaintances to you. In other words, happy customers are your powerful brand advocates. Creating value for your customers’ money begins with understanding them. You must know their desires, their goals, their concerns, and their lifestyles. Value is not necessarily offering the lowest price; it is all about making them believe that your product or service is worth. Moreover, meager prices could be counter-productive for you, for they will start questioning the quality of your product or service. So the value refers to those benefits that come along with what you are offering. It defines perceptions that ultimately determine your consumers’ buying decisions. To give an excellent value to their money, you also need to be always innovating, which will help you distinguish yourself from your competitors. It necessarily implies knowing what your competition is doing and how you compete with other products in the market. With excellent customer service, you can deliver superior results that are vital to the success of any business. Nothing is more disastrous for you if your customers had an unpleasant experience with your product or service. On the other hand, customers tend to come back to you not only because what you offer, but also because of the quality of customer service they received. That is, doing business with you was an enjoyable experience for them. One of the leading reasons why customers leave is because they feel like you don’t care about them. In the hospitality business and the retail industry one of the most important factors when it comes to providing superior customer service is the speed at which you complete a business transaction. 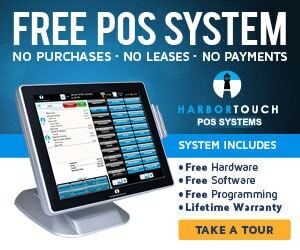 Having a slow or unreliable point-of-sale system is one of the most common hiccups that can delay a purchase and annoy your customer. Your business must be fast and agile when it comes to selling items and processing credit card transactions. Also, it is vital to be accessible to customers at all times. Offer many different ways for your customers to contact you and to leave positive or negative feedback so you can fix any issues that are troubling your customers: like phone, email, and social media. Carefully listen to what they say and their genuine concerns are, and always try to go to that extra mile. It’s a great strategy to connect with your customers by providing personal experience to them. If your product or service can provide a uniquely individual experience then you may be more able to generate brand loyalty. A one-on-one connection with your customers isn’t a requirement, you can add that personal touch without being there. Your staff can be trained to provde the experience. It can be something as simple as recalling their name when they make a purchase (from a customer database) or greeting them when they enter your store. To deliver a personalized experience, you need a lot of data from different sources, like your point-of-sale system, so that you can create simplified products and processes as per their individual needs, which will allow you to achieve their desired outcomes. On the other hand, it is impossible to give consistent, personalized experience if you don’t have the necessary information regarding your customers. Whether you are providing recommended solutions or sending gifts with birthday favor labels to your customers, think of any kind of personal touch that will always make them happy. Longevity – for how long your product is functional. Fulfillment of need – whether or not it is meeting consumers’ needs or solving their problems. Cost justification – are consumers okay with the prices given that the value it is adding. Security – whether or not the customer feels comfortable using it. Usability – to what degree is the product useful for them. Efficiency – is it really saving your time and resources? Customers are happiest with businesses that are responsive to their needs. Being sensitive to customer’s needs means providing fast, friendly, knowledgeable service. It is the key to ensure that your business grows even in an intense environment. When you make responsiveness as your priority, you’ll find your customers’ problems or issues decrease, and their satisfaction label increases. Prompt responsiveness to your customer’s needs grows to trust and builds the foundation of a long-term and healthy relationship for all parties. Today, customers can reach you through so many social media outlets, so you have to be proactive in monitoring your reviews online and be responsive to concerns shared in this way.